It is a nourishing act to offer a bowl of food and join together to alleviate the burden for someone in need. Local artists, businesses and community services delivered a wholesome afternoon of food, art and good community feeling, and raised a substantial donation for the local food distribution programs. 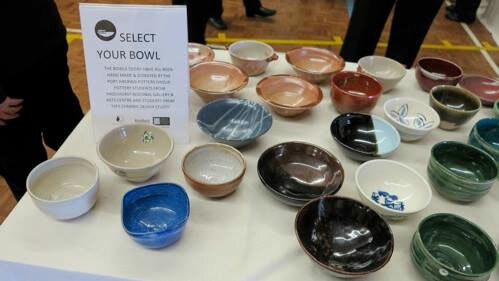 Port Hacking Potters Group, Hazelhurst Gallery and Arts Centre, and TAFE NSW Ceramic Design Studio applied their nimble hands, spun their clay wheels, and flourished glazes to generously donate over 400 handmade, professional-standard ceramic bowls. Empty Bowls Project aims to fight hunger, one bowl at a time. Ceramicists, volunteers and the Sutherland Shire Lioness Club fulfilled this aim by providing bowls, filled with soup, donned with a bread roll, and delivered with fun and generosity. 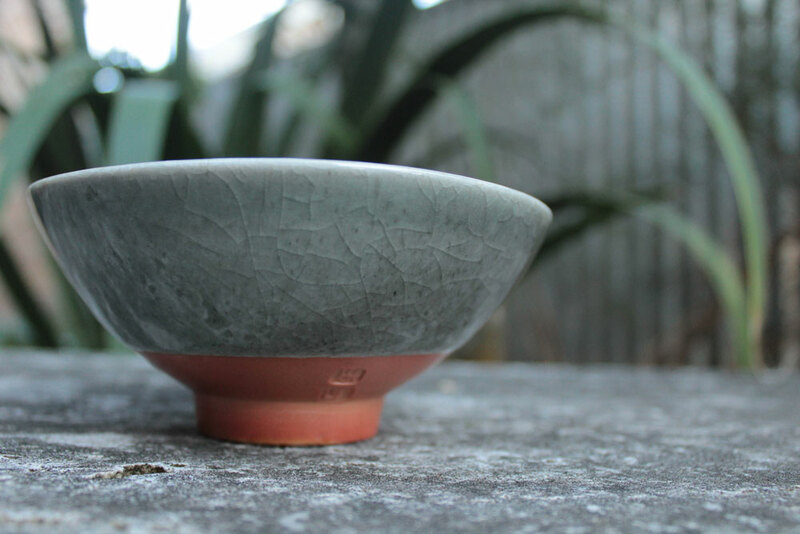 Dedicated to peace and justice and redressing hunger through the arts, ceramicists throughout Australia are doing their part in sympathy with the aspiration of Imagine/RENDER, a growing non-profit organisation which first established the Empty Bowls Project in the USA. This international volunteer movement strives to create positive and lasting social change through the arts, education and projects that build community. Drawing people together the Empty Bowls Project ran a successful community day at Sutherland Shire (NSW, Australia) in August 2013, donating to the Shire Community Services distribution programs. Lisa Lubar initiated this project locally, in partnership with Anna Ryland (President of the Port Hacking Potters Group), Claudia Citton (ceramic artist and teacher at Hazelhurst Arts Centre), and teacher, Marian Howell from TAFE NSW Ceramic Design Studio. 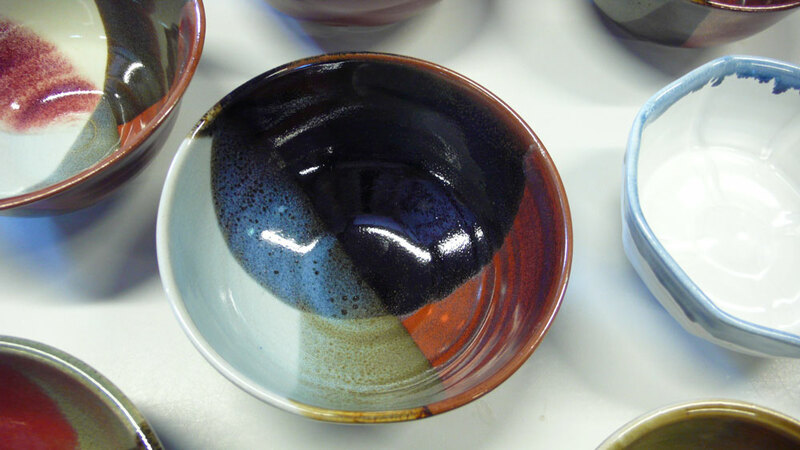 The Empty Bowls Project has recently benefited from the growing participation of ceramic groups around Australia – Gold Coast Potters, Victoria’s Studio 13, and in Hobart from the Tasmanian Ceramics Association and Tasmanian Polytechnic students. 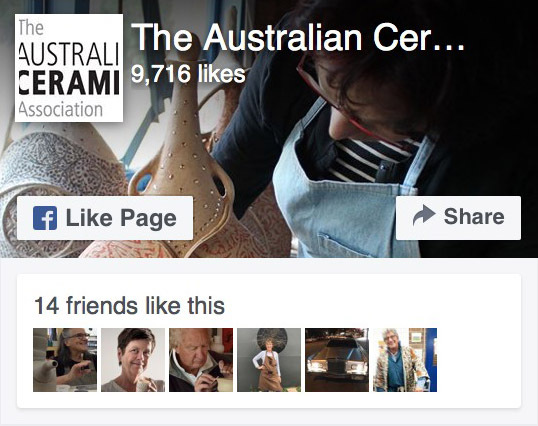 Australian ceramicists have raised many tens of thousands of dollars in donations to help the Project alleviate hunger and aid mental health. Encouraged that this become a biennial event for Sutherland Shire, Lisa Lubar is keen for other localities to take up the model of community care and fundraising, and to share her experience and advice with those interested in hosting a future event. Beautiful bowls are a rewarding reminder of the compassionate act of sharing and helping in caring for others. The Shire’s silent auction included a Steve Harrison covetous woodfired bowl, and Ian Lamb’s loosely thrown bowls with an Oribe glaze, as well as other notable pieces generously donated by Marian Howell and Renata De Lambert. The silent auction also included signed celebrity bowls by Kathy Lette (Puberty Blues) and tickets to Cronulla Sharks games.